This photo from Hungary is one of my favorites! It’s a drugstore around the corner from the apartment I lived in while doing research in Budapest. The building still has the original red lettering from when it had been a home decor store. 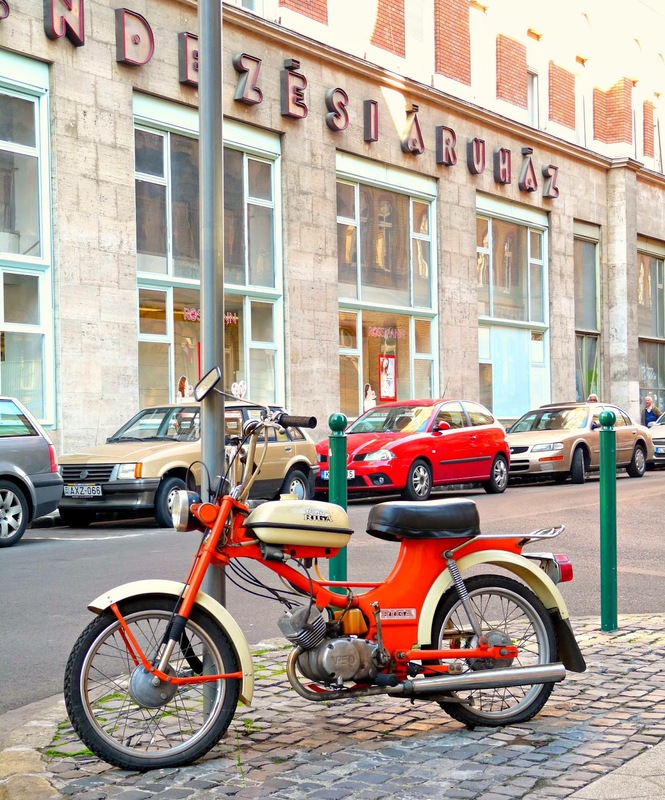 I frequented this particular drugstore often, for soap and toothpaste (and chocolate, I’m not going to lie), so the familiarity of it is comforting, but the real showstopper in the photo is the orange moped parked in front. 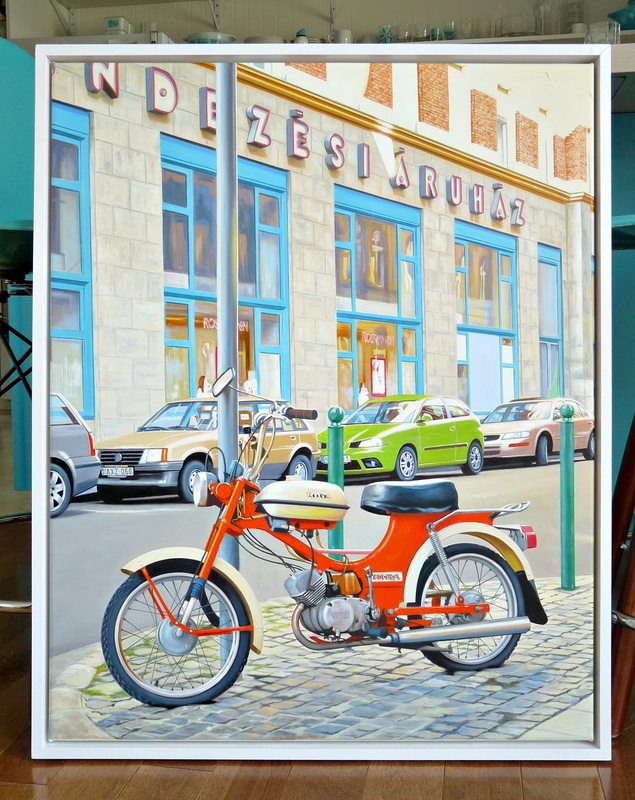 I love this photo and I knew that Hubby – with his lust for motorcycles (close enough) and penchant for orange – would appreciate this hanging on our walls (plus he spent some time in Budapest with me, and recognizes the place too!). Remove the old dudes who were staring at me. Turn the little red car lime green. 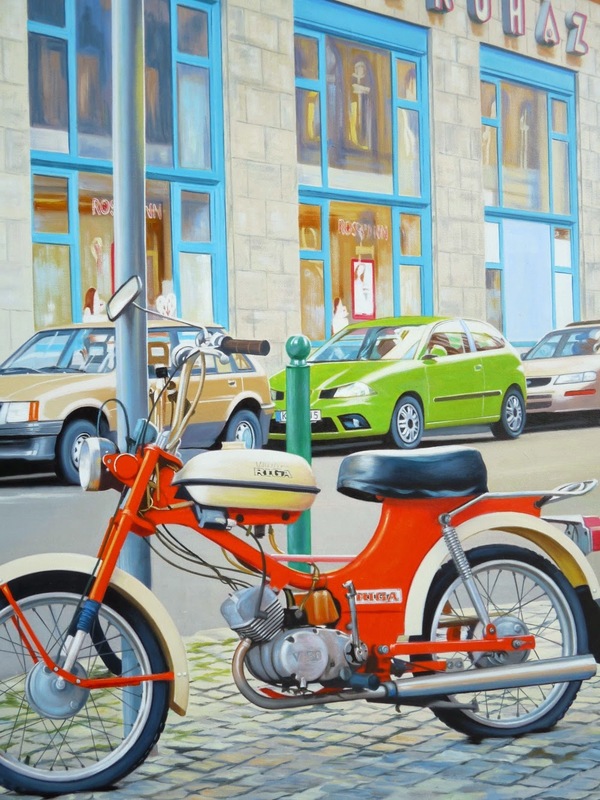 This is an homage to my beloved Charlie (but I also thought the red competed with the orange moped). I hadn’t even thought to ask how my new painting would be shipped and was a little disappointed when it arrived un-stretched. 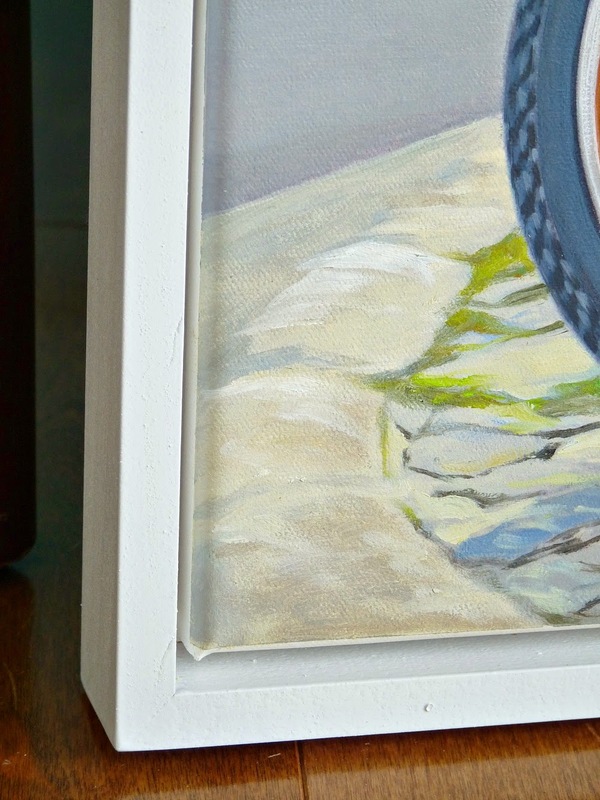 It makes total sense though, because it’s a safe and cost-effective way to ship a painting. 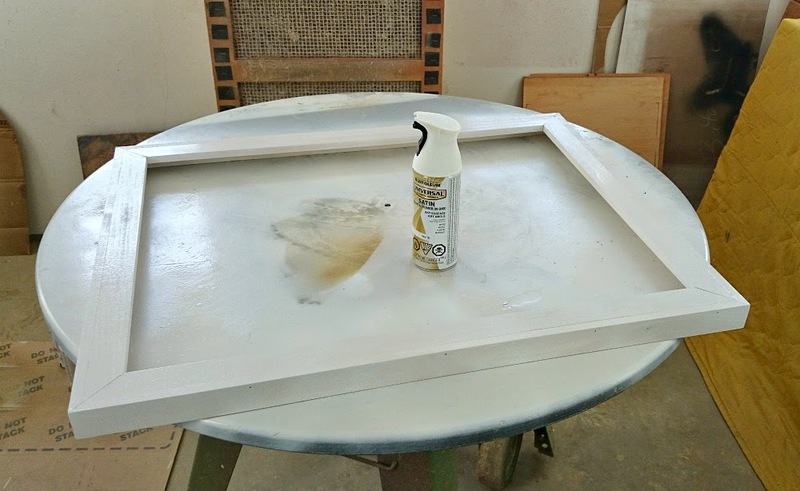 However, even though I’ve stretched many of my own canvases for my DIY paintings, they’ve always been gessoed after. 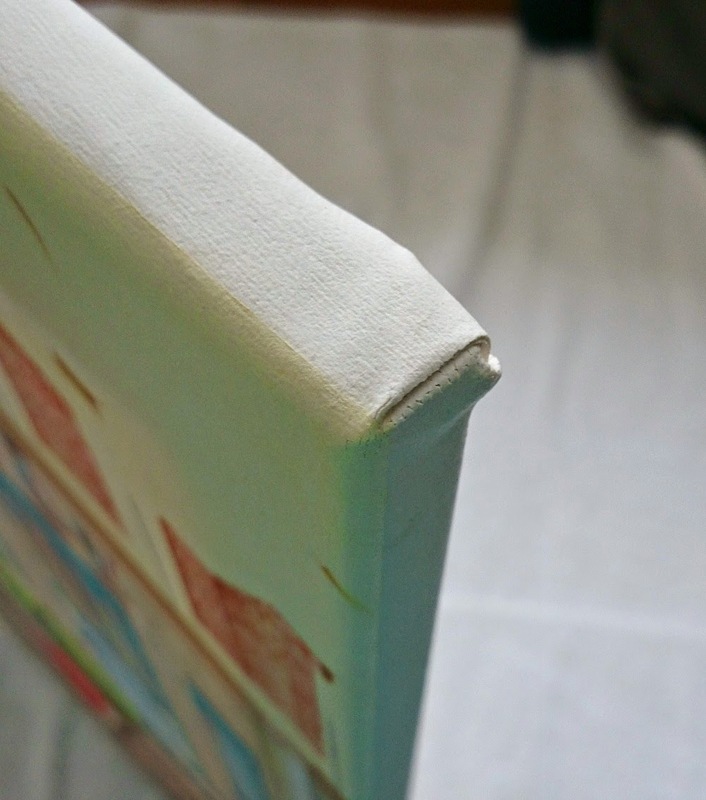 I have always thought that stretching canvas that’s already painted looks like a huge pain. What if the paint cracks? What if I wreck the painting? How do I get it taught enough when it’s so stiff? We Googled and then dove right in. 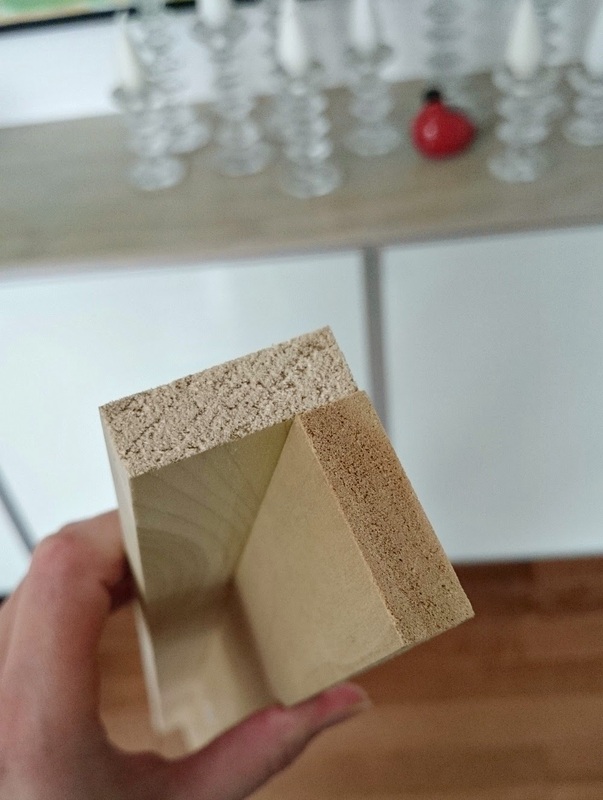 Hubby and I bought canvas stretcher bars from Michael’s but because they were out of the size we needed, we bought a size larger and instead of clicking them together with the pre-cut slats, just cut the edges and made mitered corners. In hindsight, because we could have customized the size, we should have made it a smidge smaller than the painting, which would have made stretching it a snap. As it was, the task was a little tricky because there was very little wiggle room for getting the painting positioned evenly and squarely. 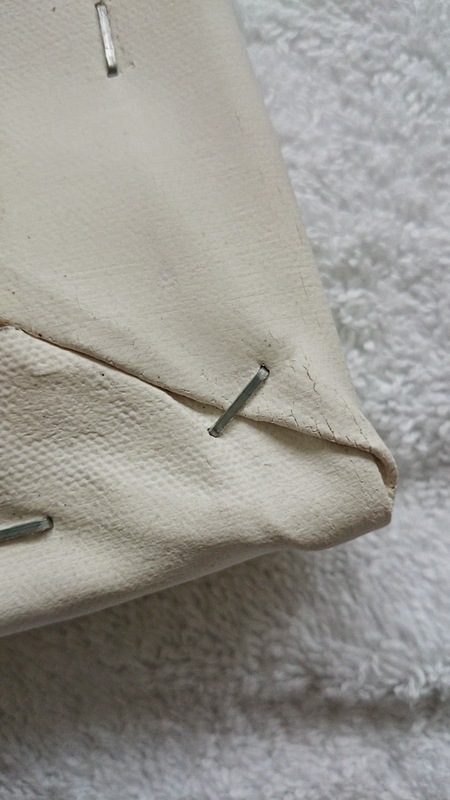 It took a few tries, and a lot of staple removal, but we eventually got it centred and it really wasn’t as bad as I thought it would be – it’s a lot like upholstering a chair seat! The paint cracked a smidge on the corners but it’s not seen from the front. We were able to get it fairly taught, even without canvas pliers (which I really think would be handy). Our hands were full so it was tricky to take photos, but there are a lot of great tutorials with step-by-step photos and diagrams. I recommend this this wiki article about how to stretch a canvas for its really clear diagrams, but this article about stretching canvas also has a video if that’s more helpful to you. It was hard to get the corners to be really smooth and flat, but for our first try I think they turned out okay. 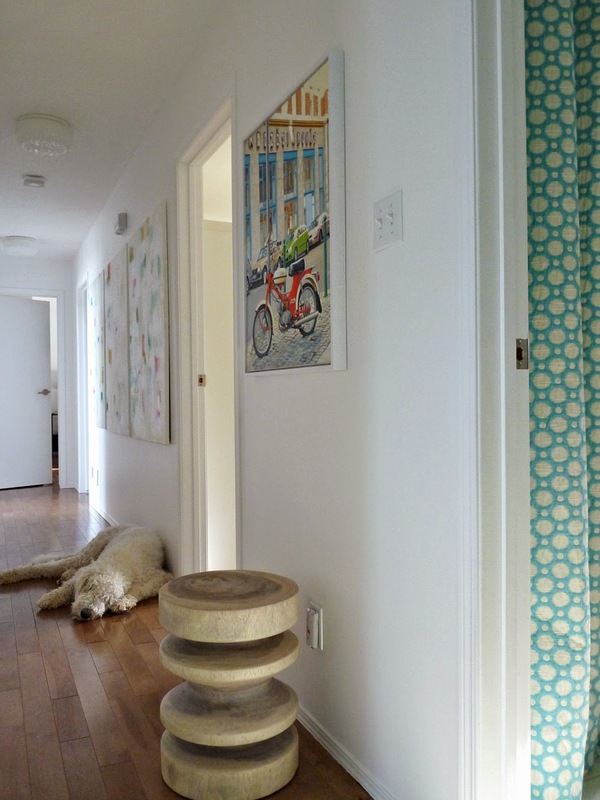 We used a miter joint to be put them together, with wood glue and small finishing nails. 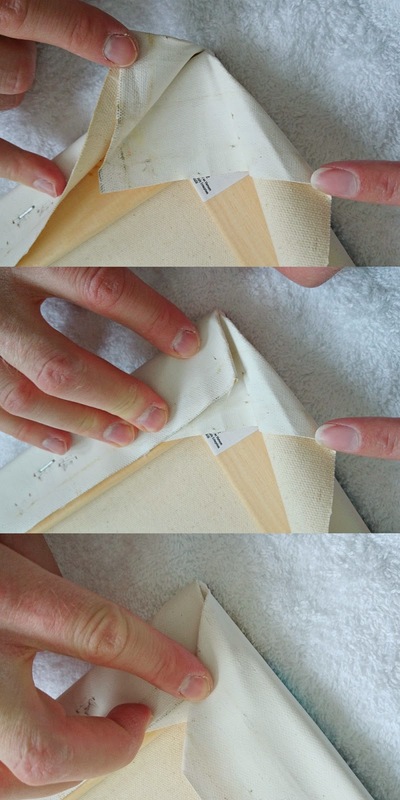 The frame is ever so slightly bigger than the canvas – we left a 3/16 gap between the canvas and the inside of the frame. Once assembled, I lightly sanded the edges and sanded the surface smooth before applying multiple light coats of Rust-Oleum Universal primer + paint, in Satin White. After the paint was dry, we attached the frame to the canvas stretchers from the back, just screwing the back of the “L” to the canvas stretcher bars. 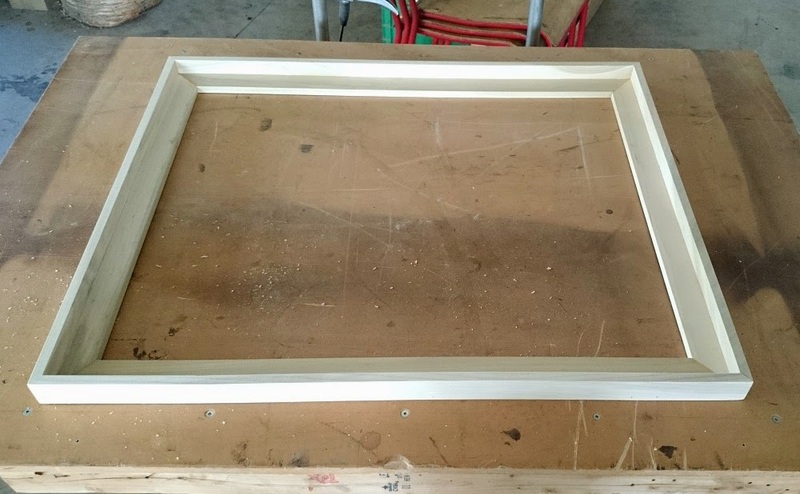 We used cardboard shims to make sure that it was centred in the frame while the frame was being attached to the painting. The finished piece is hung with screw eyes and picture hanging wire. This was a different approach than the last frame we made, and it seemed just as easy. We could have painted/stained the back of the “L” to create some depth/interest but I liked the white on white look. 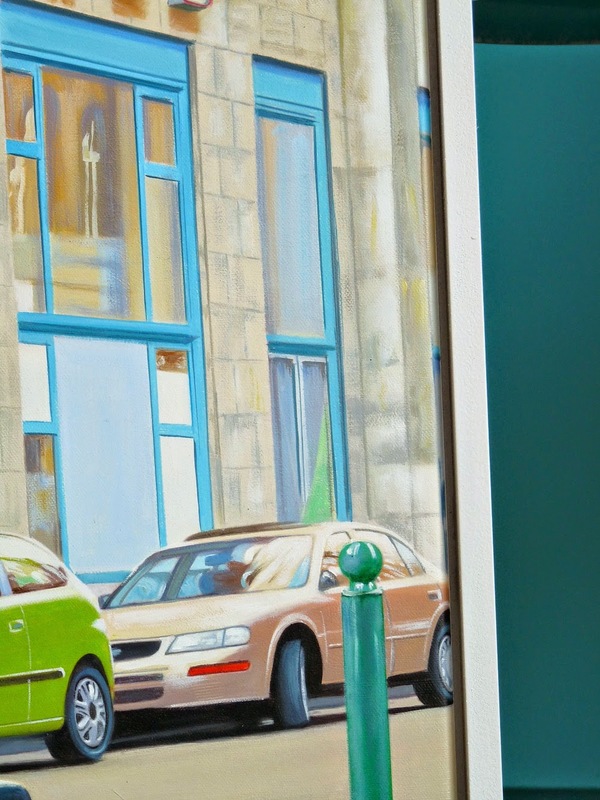 Plus, because the edges of the painting are white, the unpainted edges disappear in the white float frame. The cost for the frame was about $20 and the stretchers cost roughly $25 (they could have been cheaper because the size we actually needed was less expensive). Szuka doesn’t give a hoot and just wants me to stop fussing with this painting and go outside and play with her. Artsheaven provided this custom painting, but I was not otherwise compensated for this post or encouraged to provide a positive review. Special thanks also to Rust-Oleum for providing the paint for this framing project. And thank you, Szuka, for trying to get into every single picture. You’re a cutie and with photos of you included, I know I can just type total jibberish and no one will notice. Thank you! I'm so impressed with the work of the painters, they did such a great job. I love this! You picked the perfect photograph. This is an absolutely wonderful photograph. 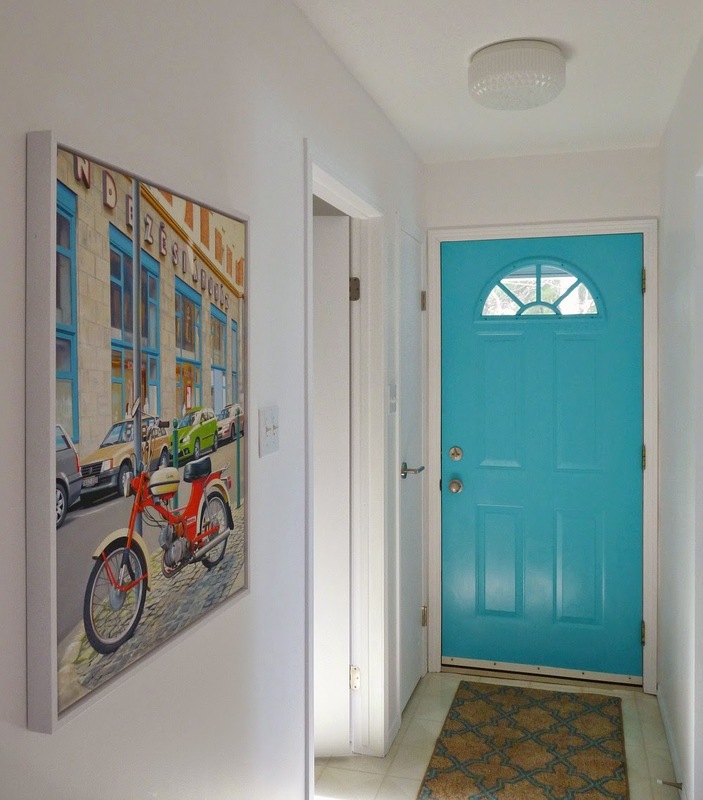 What I notice most in your picture of the hallway is how well the aqua in the painting reflects the color of your front door. 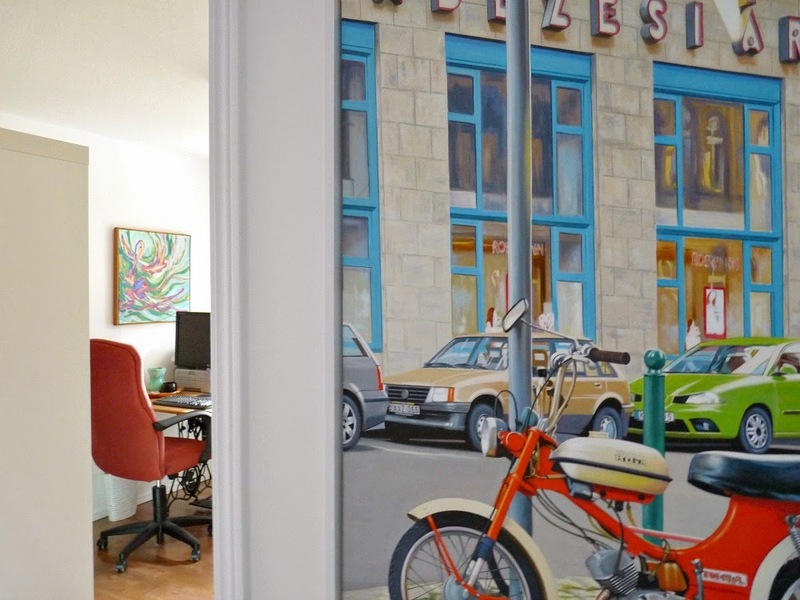 Also, the size and subject matter look very much like the view from an actual window. It opens up the hall and makes it look wider and brighter. Great job! 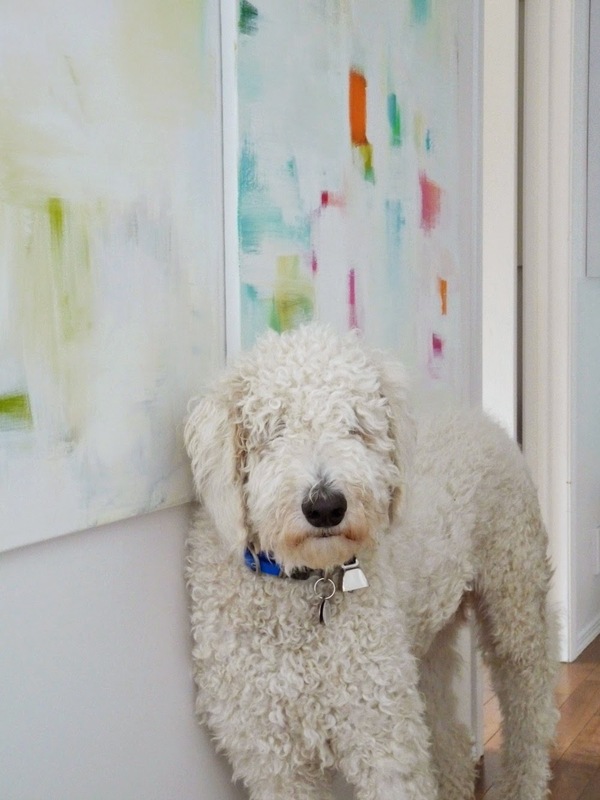 Beautiful picture, painting, frame……and doggy. I love the changes you made from the photo to the painting as well. More turquoise makes anything better. I just started following your blog and on Pinterest. I saw this picture in your kitchen and immediately thought, 'she should add more orange to her kitchen like in her picture'. My computer room is turquoise with orange pops of color. I love the color combination! I wish you would sell posters of your picture in your Etsy shop :). Hi Cheryl! 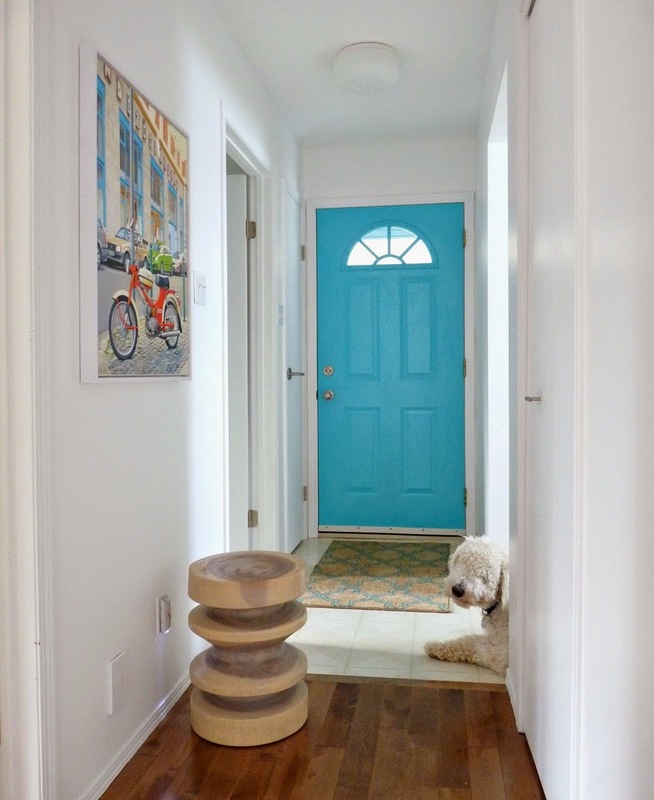 I'm so happy you found your way here – especially if you're a fan of turquoise too! I definitely like orange and turquoise (and turquoise and red), but I was trying so hard to keep the kitchen strictly to blues. 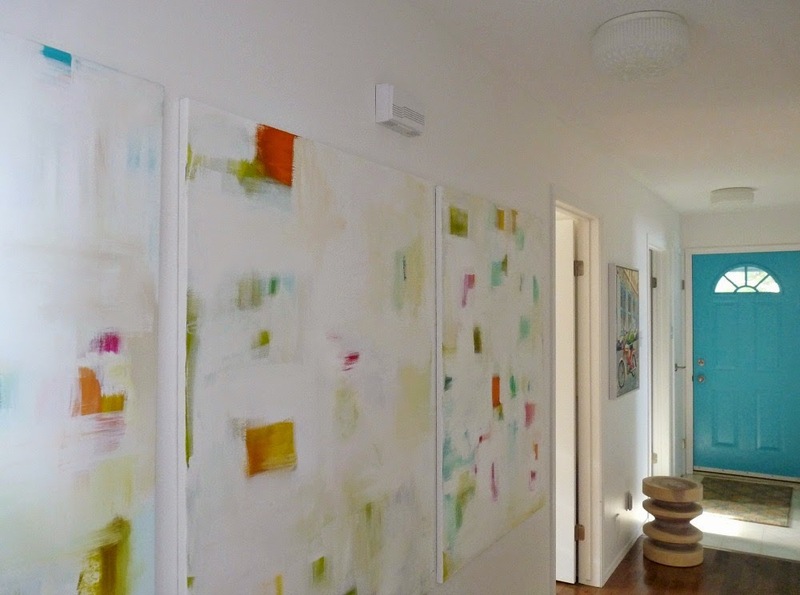 But then I liked that painting there and so now I might change my mind. It's a very recent addition and the kitchen might just change a bit. Your computer room sounds so fun! Beautiful picture, painting as well.